W hen you run a business, you're always looking for new ways to be environmentally responsible. It's important for the health of your employees, your planet, and your pocketbook. 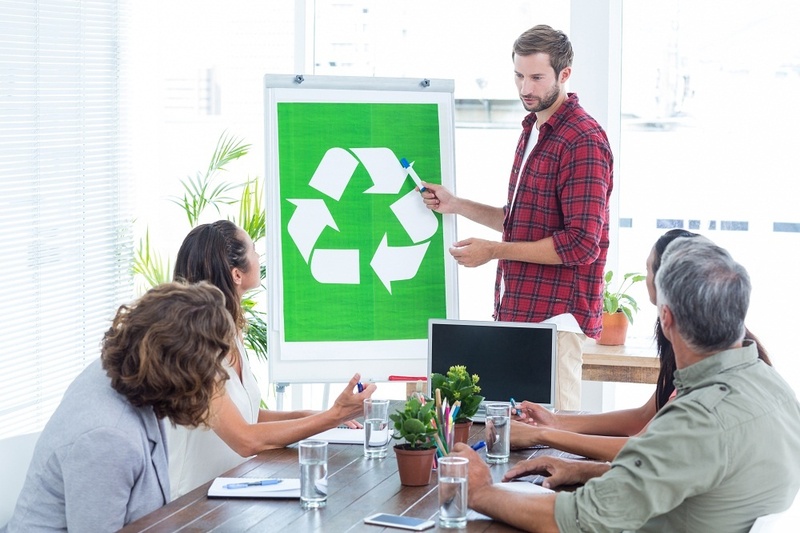 There are so many elements that are a part of an office's daily activities, here are just a few of the simple steps you can take to make a difference and lighten the load on your waste situation in Cadillac, MI. Compost isn't just for homeowners. Often the heaviest portion of your waste stream will be composed of organic materials. The heavier the waste, the more expensive it is to remove normally. That's why a lot of offices and office buildings are composting to save money and lower waste. Using recyclable and compostable forks, knifes, plates, and napkins can make a significant dent in the amount of waste you produce. There are several companies that can provide composting services as well as waste management locations in Cadillac, MI. Many people use bottled water in different forms around the U.S. But if you can rely on tap water inside of your organization would make bottled water unnecessary. Bottled water is 2,000 times more expensive than tap water, and it's incredibly wasteful. Providing personal glasses to your employees and having them pull water from a filtered source in your break room is a great move to make. It tastes just as good when filtered and will save you money and lots of unnecessary plastic in the trash. Remember when everyone went to computers and said they would “go paperless?” Well, it hasn't happened, but there's no reason it still can't. Sure, you still need paper for some things. But by making a few simple adjustments on how you communicate within your office, and how you store records, you can convert your office to a paperless - or near paperless - office within weeks. We can go through so much electronic waste (e-waste) every month, and not even notice it. Make sure your company is collecting e-waste and having it recycled with certified e-waste vendors. Also, make it easy for your employees to bring in their old computer parts and batteries for recycling. Every little bit makes a difference. Follow these few easy steps and you'll be doing your part in making the world a cleaner and safer place.